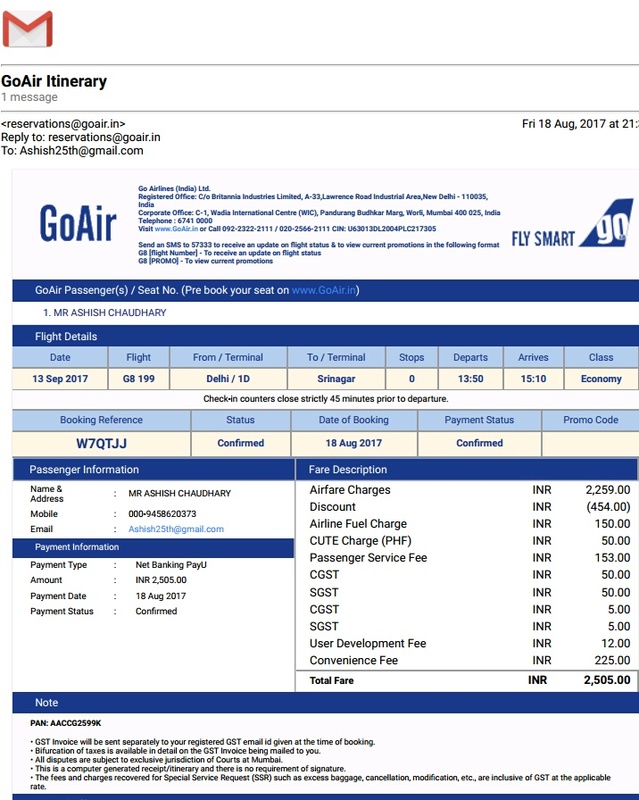 I booked goair flight from Delhi to Srinagar Dep date 13 Sep 17 charged Rs. 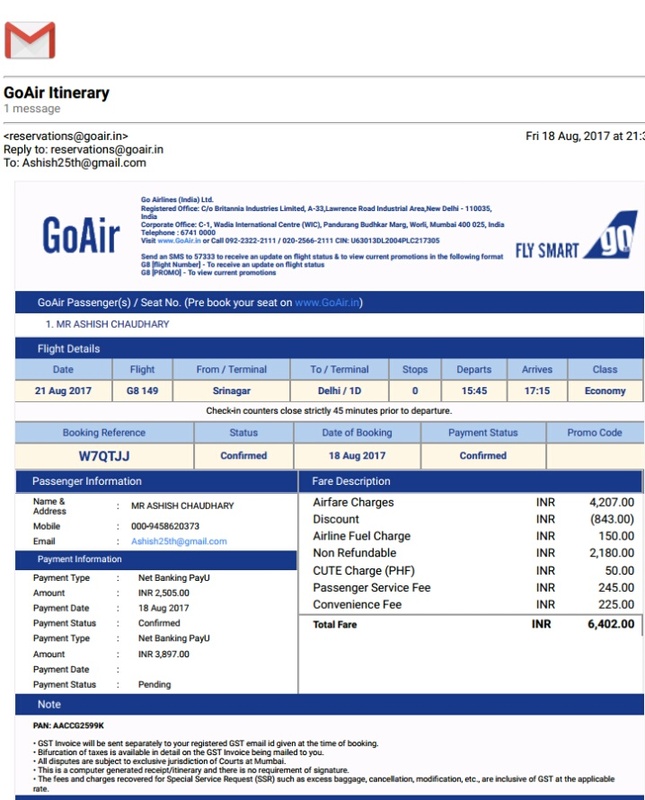 2505 and then booked goair flight Srinagar to Delhi departure date 21 Aug 17 charged Rs. 3897. But they canceled my Delhi to Srinagar flight and booked Srinagar to Delhi on same pnr W7QTJJ without informing me. Now customer care is saying I have no booking from Delhi to Srinagar and they already charged me for both tickets.